Education: B.Sc. in Computer Science and Applied Mathematics; B.Sc. (Hons) in Computer Science; Ph.D. in Computer Science. All from the University of Adelaide, Australia. Accolades: Dr. Oudshoorn has more than 30 years of experience as an educator. His career began at the University of Adelaide, Australia where he worked for 20 years teaching Computer Science. He also served as the Associate Dean (International) for the Faculty of Engineering, Mathematical and Computer Sciences where he had responsibility for international student recruitment and management of the Faculty’s articulation and off-shore programs in Singapore and Malaysia. He relocated to the US in 2003 and has held positions in several institutions as a Dean or Department Chair. Since 2004 he has served as an ABET volunteer and been involved in accreditation visits for Computer Science programs. He is currently serving his second 6-year term as an ABET Commissioner and was elected to the Executive Committee in 2018. He has experience in designing and developing new degrees including degrees at the undergraduate and graduate level. Most recently he lead the development of a cybersecurity degree at a Mid-West university. 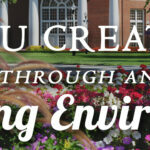 Focus at HPU: Designing and developing a new School of Engineering, which should begin offering Computer Engineering and Electrical Engineering programs in Fall 2019. This will be followed by additional programs in 2020. Computer Science is also a department within the School of Engineering and the goal is to grow that program significantly and develop a focus on cybersecurity. Education: B.A. in Communication from The College of New Jersey; M.A. in Communication; from Texas State University; Ph.D. in Communication from the University of Illinois at Urbana-Champaign. Accolades: Dr. McDermott came to HPU from the University of New Mexico, where for nine years she was a faculty member in the department of Communication and Journalism. Her research examines how problematic events change the nature of relationships and conversations, how communication facilitates coping, and how communication campaigns can be used to address health disparities and social inequities. For the past few years, she and her students have addressed various health risk issues, including teen pregnancy and prescription drug abuse, by using community-based approached to campaign development. Her recent publications include an article in Communication Theory and The Journal of International and Intercultural Communication. She has extensive experience in organizational training and specializes in seminars on how to develop a positive organizational environment. 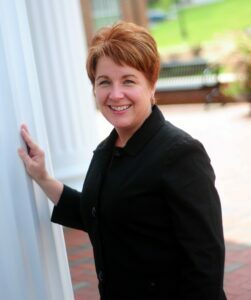 Focus at HPU: Dr. McDermott came to HPU to design and direct the MA program in strategic communication. 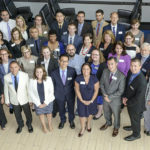 This program now has approximately 40 graduate students, including students in the innovative BA to MA program, which allows exceptional students to start taking graduate classes their senior year. In her role as interim dean, Dr. McDermott has overseen the NQSC $1,00,000 studio upgrade (ask her to give you a tour!). She looks forward to working with the faculty as they develop new experiences that enhance student learning. Accolades: Dr. Tillery, a Phi Beta Kappa inductee, has published numerous articles on facilitating collaboration between special and regular education teachers and implementing an inclusion model of instruction. 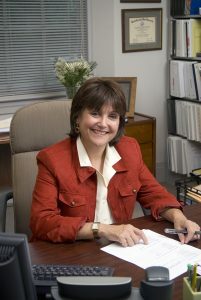 In her tenure at HPU she has served as chair of the university’s Advisory Board for Educational Assessment and co-authored the 2006 QEP (Quality Enhancement Plan). 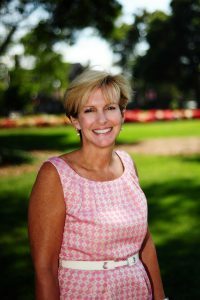 In 2009, Dr. Tillery was the recipient of one of the Piedmont Triad’s 2009 Women Extraordinaire Awards, given by Business Leader Media. She is also a North Carolina-licensed psychologist. 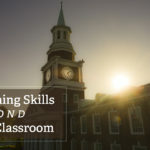 Focus at HPU: Under Dr. Tillery’s leadership, the School of Education has established the university’s first doctoral degree program in Educational Leadership, which is designed to prepare twenty-first century district leaders to solve problems of practice. She has developed several B.A. to M.Ed. programs in Literacy, STEM, Educational Leadership and Special Education for students to continue their study at HPU to receive master’s degrees in these concentration areas. The School of Education has become a LEGO Education Service Provider for North Carolina, offering training to educators across the state on how to use educational manipulatives to teach the Common Core and Next Generation Science Standards. 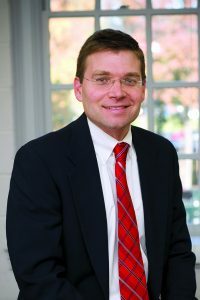 Accolades: He hails from Duke University, where he served for eleven years as the director of graduate studies and associate professor in the Doctor of Physical Therapy Division in the Department of Community and Family Medicine. Focus at HPU: Dr. Erb is building an innovative health sciences school that includes current programs in exercise science, athletic training, and physician assistant studies, while a program in physical therapy is being developed. Together, these programs will enable individuals to stay active longer and meet the increasing demand for physicians around the world. Accolades: Dr. Ragan has more than twenty-five years of experience as a community hospital pharmacist and educator. 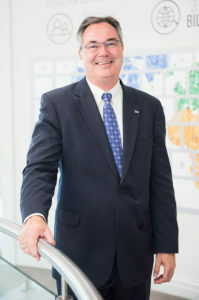 He comes to HPU from the University of Kansas, where he served as Associate Dean for Academic Affairs in the School of Pharmacy. There, he oversaw the design and development of a new pharmacy degree program and managed the school’s curriculum and assessment program. He has also served as the president of a pharmaceutical consulting company. Focus at HPU: Designing and developing a new School of Pharmacy – which launched this fall – that will prepare students for the health care careers of tomorrow. 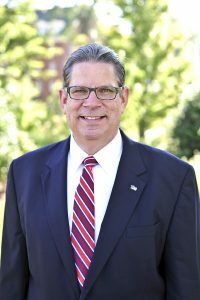 Accolades: Dr. Stoneking is an ordained minister and elder in the Western North Carolina Conference of the United Methodist Church and serves on the Editorial Advisory Board of Christian Bioethics. She has published articles in Christian Century, Christian Bioethics, the Church Health Reader, and Studies in Christian Ethics, and is an active member of the Society of Christian Ethics and the American Academy of Religion. 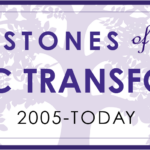 Dr. Stoneking has also contributed chapters to a number of books, including the Blackwell Companion to Christian Ethics and Aging and Spirituality. She is co-author of Growing Old in Christ. 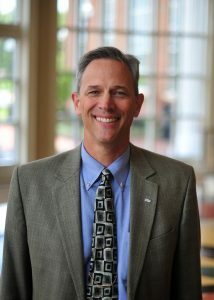 Focus at HPU: Dr. Stoneking was appointed dean of the David R. Hayworth College of Arts and Sciences in 2006. The College houses twenty-one majors and twenty-five minors and is home to 150 full-time faculty. During her tenure as dean, Stoneking has chaired three dean searches as well as multiple chair searches. Under her leadership, 112 of the College’s 150 faculty have been hired, three new departments have been organized, and multiple new programs and majors have been developed, including interdisciplinary programs in Environmental Studies, Women and Gender Studies, and Service Learning. 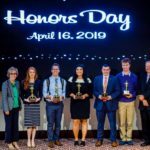 Accolades: Dr. Wehrley has received multiple teaching awards, including the Meredith Clark Slane Distinguished Teaching/Service Award, the Alpha Chi Teaching Award, and the Exemplary Teacher Award presented by the General Board of Higher Education and Ministry of the United Methodist Church. Focus at HPU: Dr. Wehrley has been instrumental in steering the course of the Phillips School of Business through curriculum changes, implementing innovative instructional techniques, introducing practical experiential learning situations, and providing opportunities for students to hone their job-search skills. Education: B.S. Interior Design, Florida State University; M.S. Architecture, University of Cincinnati; Ph.D. Design History, Theory and Criticism, Arizona State University. Accolades: Before coming to HPU, Dr. Turpin was chair of the Department of Interior Design at Washington State University where he participated in a number of interdisciplinary courses and activities at the Interdisciplinary Design Institute in Spokane. He is a member of the Interior Design Educators Council’s College of Fellows, a founding editor of Interiors: Design, Architecture, Culture (received CELJ Award for Best New Journal, 2012) and the current editor-in-chief of the Journal of Interior Design. Past awards and honors include: DesignIntelligence Most Admired Educators of 2011, WSU University College Assessment Leadership Award (2010), ASWSUS Student Choice Award for Academic Excellence in Teaching (2006, 2008, 2011), IDEC Presidential Award (2010), and IDEC Awards of Excellence for Research (2005, 2008, 2009, 2010) and Service (2012, 2014). 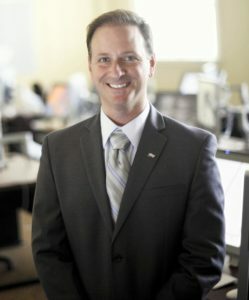 He is currently serving on North Carolina’s Department of Public Instruction advisory board to provide guidance on the interior design curriculum for public. He has been on the Board of Visitors for the Council of Interior Design Accreditation since 1999. Focus at HPU: Dr.Turpin is the founding Dean of the School of Art and Design and Professor of Interior Design at High Point University. The University recently received accreditation from the National Association of Schools of Art and Design due to the efforts of the entire faculty and staff in HPU’s School of Art and Design. Turpin’s focus continues to be the development of new, relevant, high quality programs that will allow his graduates an opportunity to become future change agents.